Want to know when a contact has watched a video on your webpage? Just follow the steps below, and you’ll be able to see when a contact has watched one of your Vimeo videos in their contact profile. NOTE: A contact must watch at least 50% of the video to qualify as having “watched” the video. 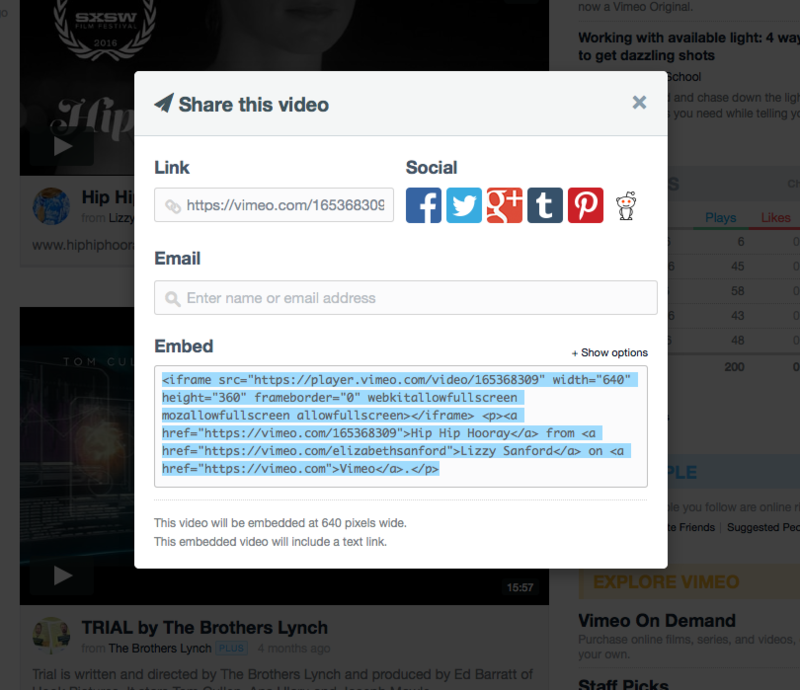 In order to track a Vimeo video, the video must be embedded on a webpage tracked by MDC DOT. To have MDC DOT track your webpages, just install the MDC DOT tracking code on each page you want to be tracked. That’s it! Now your video will be tracked in your MDC DOT account. The page must have a webform that will create a contact in MDC DOT. If you do not have any pages like that, or you are not sure, please proceed to Method 2. Check that you have the correct cookies in your internet browser. Do you see your name, email address, or phone number on the page? Can you see your site name in the address bar? If you answered no to both of the questions above, then please clear your cache and cookies, and restart your browser. You can find instructions on how to clear your cache and cookies here. You can find this at the end of the url in the address bar. You can confirm whether you performed Method 1 or 2 correctly by going to Live Visitors. You should see your contact name and your pageviews there. You can move the video play head past 50% of the video length to simulate a “video watched” activity entry. Note: It can take up to 5 minutes for a “video watched” entry to appear in your contact profile activity stream. Click the details link to see the title of the video and other information. +-How do I track multiple videos that are hosted on the same webpage? Follow the instructions above for each video that you are embedding on the same webpage. All you need to do is change the player # for each video you have embedded on the webpage as shown in the example below. NOTE: You only need to change the player # if you are embedding multiple videos on the same webpage.